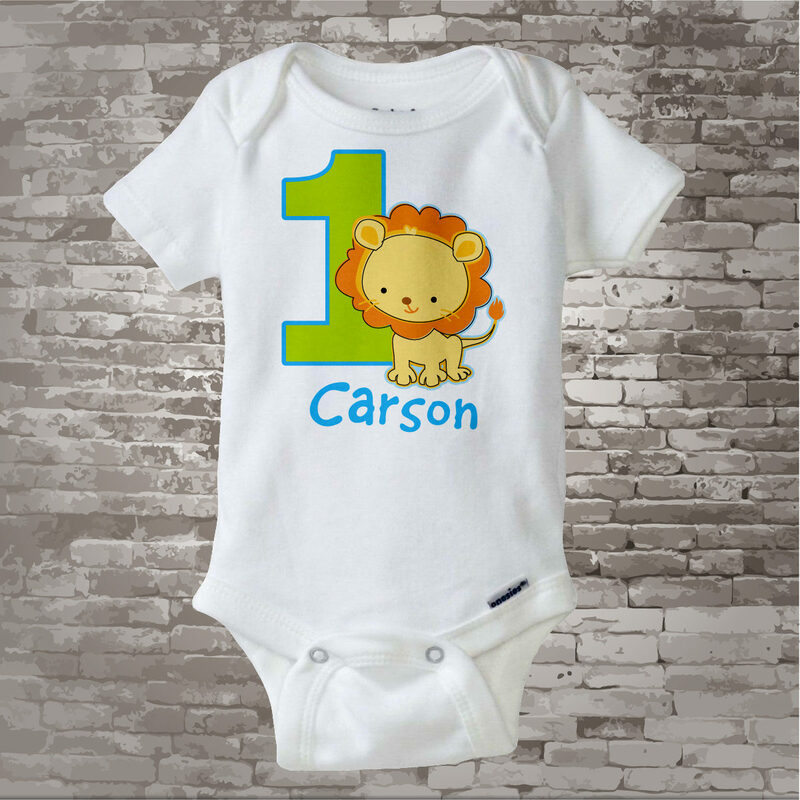 Cute Lion Birthday Shirt for Safari Theme birthday Party on tee shirt or onesie with cute birthday lion can be personalized with your child's name and age. Love this shirt! And received it so fast! Thank you!! 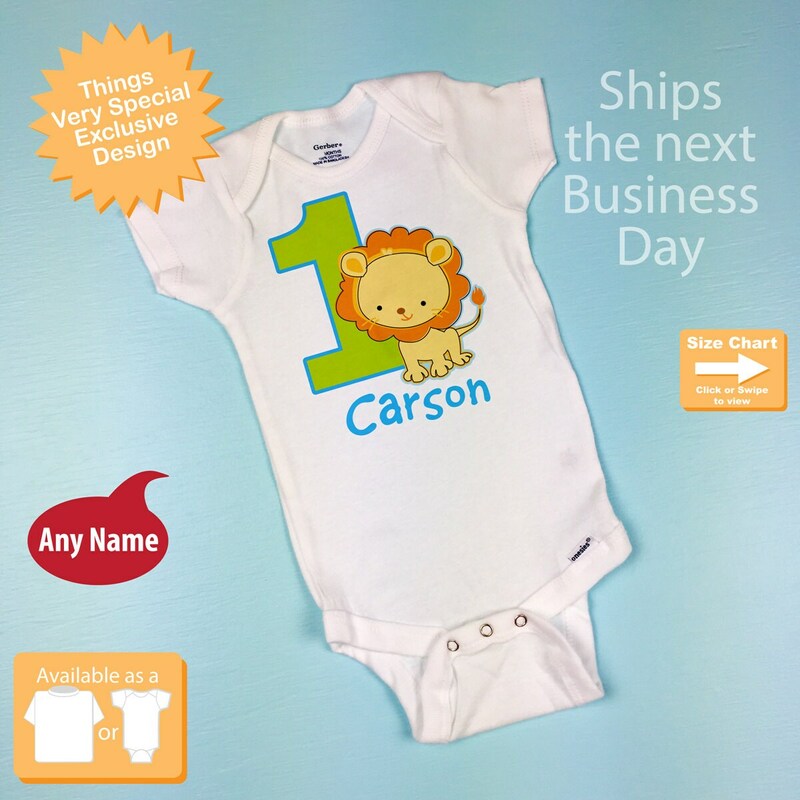 Perfect shirt for his 1st birthday photos and for his birthday party!! 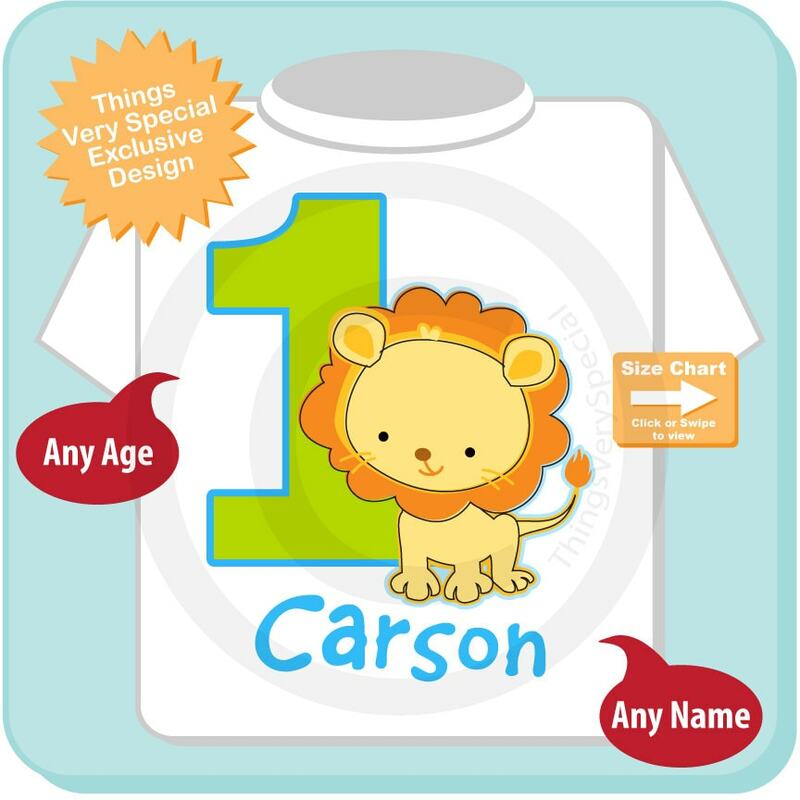 My little Leo the Lion. Absolutely love this little shirt. Thank u so much my grandbaby looked adorable.